Jeremy Camp ... A unique brand of rock and progressive pop, his music was born out of a heart that's been broken and a faith that's been tested. Yet, despite all this 24-year-old has walked through or maybe because of it he's compelled to praise the God who has proven Himself faithful through it all and has a passion for telling others about Him through music. Camp's journey began when he left his home in Lafayette, Indiana, bound for Bible college in Southern California. He wasn't sure what God had planned for him, but he knew he wanted to be ready. As he soaked up all the biblical knowledge he could and pondered a career in ministry. Jeremy filled his downtime strumming a guitar, a skill he picked up from his musically inclined father. One day, as he was playing in the dorm kitchen, the school's worship leader overheard him and encouraged him to get involved in the music ministry opportunities available on campus. It wasn't long before Camp was leading worship at the school and all over Southern California. One of those gigs would even lead him to his future wife. He was playing for a small Bible study group in the San Diego when he noticed her. They spent the next 4 months getting to know each other. So it came as quite a shock when, after four months of dating, Melissa suggested they break up. While his personal life wasn't going exactly the way he had hoped, his ministry was thriving. And then Jeremy received a call that would change his life forever. He was summoned to the hospital to see Melissa, then 20, who had just been diagnosed with ovarian cancer. Despite her upbeat attitude, Jeremy left the hospital confused and upset at seeing someone he cared about in pain. Once in his car he found himself making a strange promise. I drove away saying, "God if You want me to marry Melissa, knowing she could die from this cancer, then I will. If she tells me she loves me, I'll marry her." It seemed like a fairly safe bet. They had never spoken those words to each while they were dating, why would she say them now? Five Months later the young couple married in front of a thousand well wishers. Unfortunately, their happiness was short lived. During their honeymoon, Melissa started having stomach problems and when they returned the doctor delivered the news they dreaded. She had mere months to live. On Feb. 5, 2001, Melissa went to be with the Lord. Melissa's life and death changed Jeremy's perspective on the music he makes. "Watching Melissa go to Heaven made me realize what's important." "Music is not my life. Christ is my life. The only thing that really matters is what we do for Jesus on this Earth, and as a result of what I've been through, I express even more the goodness of God and how faithful He is." They say the best songs come from personal experience and newcomer Jeremy Camp's music certainly comes from a very personal place. Stay at its core is a rock album. Well produced it flows with powerful rock chording opposite acoustic highlights and soaring effects. The music is a great backdrop for the 'in front of God' lyrics for which the soul craves. Stay is a sensitive insightful album that reveals a thoughtful and personal side of the artist. "I Know You're Calling" is a good example of the themes that run throughout the song. Camps sings, "Help me to understand your ways". The answer comes, not with pat answers or cliché but with the simple truth that he knows that God is drawing him back again. As mainstream Christian radio has verified through airplay, "Take My Life" has a universal appeal to music lovers. It rocks, drives, steps backs, inspires and does not fail to get one slamming an air guitar. Camp's work would not be complete without a solid dose of worship, "In Your Presence" delivers just that. "You are worthy Lord- You are mighty". The songs ascribe worth to God without the meaningless fluff of so many worship songs. One of those songs that reflects that perspective is "I Still Believe," the first song Camp wrote after Melissa's death, a declaration of faith from one who has walked through the fire. BEC debut is "Walk by Faith," a tune he composed on their honeymoon. Looking back now, "I didn't know what the song was for at the time, but I look at the words now and I can see God was preparing me for the path I'm now walking." Jeremy's the first to admit it hasn't been an easy road. "It's not like you just bounce back," he says. "But God gives me the strength and I want to encourage others who are struggling." And there's another motivation. Jeremy knows with each song that he sings, he's helping that wish Melissa made that day from her hospital bed, for her death to impact others for Christ, to come true. 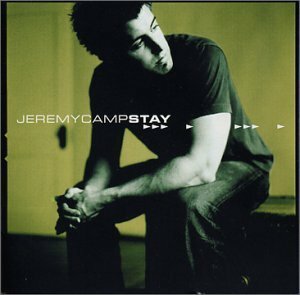 Jeremy Camp's career is going so well that in fall 2003 he became a headliner, almost unheard of for a debut artist. Carried Me is a project that portrays what Camp and Co. have always done in their live shows, which explains why fans have been asking for just such a disc for years. And they won't be disappointed with this thoughtful collection of original songs, several written by Camp, and reworked standards. While each song may not come directly from his own pen, they have all captured his heart. "Trust in You," an older song that many artists might have easily passed over. But Camp connected to its powerful message and decided to add his own flavor to it, giving it a welcome rock-infused update. "Revive Me," which was penned by Camp, has already been chosen by Worship Leader for their Song Discovery program which collects the most promising new worship tunes and puts them on a CD to send out to working worship leaders looking for fresh music for their congregations. Carried Me features well known worship songs such as "Enough", "Wonderful Maker"- new worship songs "Beautiful One" (from Tim Hughes the writer of "Here I Am To Worhip"), "I Wait for the Lord" and "Empty Me". This album is sure to offer a refreshing look at worship and offer fans what they have been waiting for. While the songs come from a variety of sources, Camp's delivery neatly ties them all together. "I'm a very passionate, outgoing person, so when I'm singing I love to belt it out. That's part of my expression." That attitude carries over to his take on worship. "When I do a worship song," he explains, "I want to make it very full to compliment my voice and my heart. This is me 'boom!' worshipping God." Anticipation is high for Restored, the latest offering from Jeremy Camp. Since his 2002 debut, Stay, Camp has garnered six No. 1 songs and to win the Dove award for 2004 Male Vocalist of the Year. It is fair to say Restored is a truly heartfelt follow-up. Fueled by Camp's powerful gritty vocals and crunchy rock guitars, Stay brought a much-needed dose of passionate energy to Christian music. 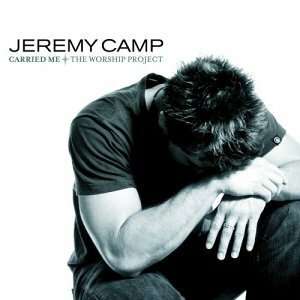 Carried Me: The Worship Project, though slightly mellowed, still added Camp's refreshing rock edge to mostly standard praise songs. The lyrics are all personal prayers of surrender to God, and Camp's powerful voice finds a new tenderness. "I feel it," he sings on the title track, over a background of drum loops and gently moaning guitars. The disc is packed with a balance of stadium filling anthems, rock and roll revelry and praiseworthy yet edgy power ballads, while the message is sure to strike a chord with followers at all levels of their faith walk. Get ready for Restored, the next chapter in the story of this incredible artist. Camp admits there is still work he's been called to do, such as to let go of some of his expectations for where God would take his music and ministry. Spiritually, I had all these ideas of what was going to happen. Finally, I had to lay them down and say, "Okay Lord, you're going to do what you want in my life." And that's when things began taking off. Award winning band MercyMe will launch their Spring 2005 Undone Tour with Jeremy Camp. Completing the line-up are newcomers The Afters and Monk & Neagle. This will be our fourth tour with MercyMe and we have seen the audience grow on every tour as people continue to be moved by their ministry and the quality of their art. 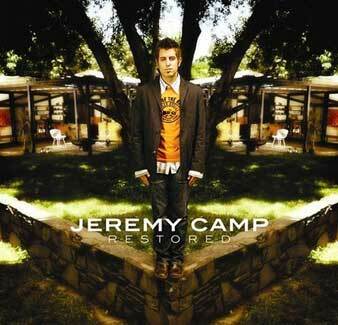 Jeremy Camp, reigning GMA Dove Award winner for Male Vocalist and New Artist of the Year,has released Restored." "Restored" is the follow up to his 2002 debut, "Stay". He is currently headlining the "Restored Tour" and enjoying his new job as father as he and his wife, Adrienne, welcomed the birth of their first child, Isabella Rose. In the DVD 24 You get a peak in the life of Jeremy. He wanted to give Jeremy's fans a peak into what his life is like during the typical concert day for Jeremy, this DVD takes fan from morning to night showing the ins and outs of the good and the trying times of a day in the life of Jeremy Camp. In 24 also includes behind the scenes footage of shows, a live concert, and some other fun stuff. A great fan piece for those that want a little more. This is also a great introduction into the life of Jeremy for those that maybe are looking for a fresh new artist to hear from. Features Camp's music videos "Understand" and "Walk by Faith". In 24 also gives Camp's touching testimony.